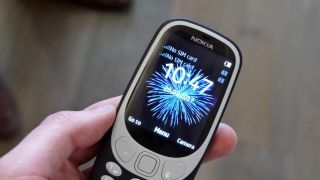 The new Nokia 3310 has garnered interest the world over after it was announced at this year’s Mobile World Congress – however, it’s now been revealed that it may not actually work all over the world. While many parts of the phone have been updated from the original handset, something that has stayed the same are the frequencies it uses to connect to networks – 900MHz and 1800MHz. The problem with this is that most networks in North, Central and South America use 850MHz and 1900MHz, meaning the 3310 would be unable to connect to and use those networks, rendering it pretty much useless. 900MHz and 1800MHz are the primary bands used in Africa, Europe, the Middle East and Asia, and the phone should therefore be able to work in those parts of the world. However, there’s an additional problem in that many countries, notably Australia and Singapore, are planning to turn off these old frequencies soon, or are already in the process of doing so – so even in some countries where the 3310 works now, it soon won’t. While most phones nowadays get around frequency issues by supporting a range of bands, the 3310 only supports the increasingly outdated 2.5G bands, which is disappointing as the phone’s affordability and sturdiness would have otherwise made it ideal for frequent globetrotters. When we contacted Nokia for comment they told us: “The Nokia 3310 is one of the most iconic Nokia phones of all time. By reimagining it we want to show how we’re combining the best of the Nokia legacy with modern design and innovation. If the 3310 is to end up there, Nokia will of course need to enable US frequency support on the phone.